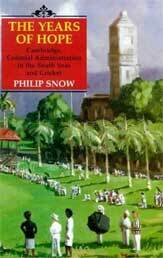 One of the last living links to Fiji’s colonial past has been severed with the death in Britain of Philip Snow – a colonial servant, author and celebrated cricketer who retained close links with Fiji long after he left the then colony in the early 1950s. Philip was already a minor celebrity when, in 1938, he sailed half way around the world to begin his civil service career in Fiji. He’d captained the Leicestershire 2ndXI at a time when first class cricketers were as famed as modern television stars. Arriving in Suva, he found that the game had a proud local tradition. In fact there was a local team in Levuka at the time of Cession and in 1874, it had roundly beaten a side assembled by a visiting British warship, HMS Pearl. Later, in 1881, Levuka played a team from another warship, HMS Bacchantes, which included Prince George, the future King George V. That score is lost to history but 89 years later, in 1970, George’s great-grandson Charles – the current Prince of Wales – visited the patch of ground in Levuka where the match was reputed to have been played. Philip Snow threw himself into the sporting and social life of the colony. He wrote that he was astonished to find that Europeans and Kailoma (part Europeans) played cricket separately from i’taukei and Indo-Fijians. So in a pioneering gesture towards multiracialism, he took it upon himself to integrate the game. 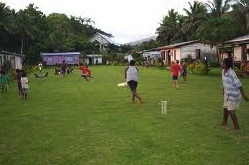 The exclusively European Suva Cricket Club changed its name to the Suva Cricket Association and became the first multiracial sporting organisation of any kind in Fiji. The team’s fastest bowler was a young Ratu Kamisese Mara, who would go on to play for the Otago first grade side in New Zealand and, some 30 years later, become Fiji’s first prime minister at independence in 1970. Philip was joined by his fiancee just before the carefree life of colonial Suva was shattered by the Pacific War. After Pearl Harbor and the fall of Singapore, Fiji was in the front line against the Japanese occupying its island neighbours. Philip Snow was Government Liaison Officer at the time and was joined in Suva by his elder brother – the famous novelist C.P. Snow – who also went on to become a British MP and member of the House of Lords. Philip’s experiences are recorded in The Years of Hope, a chronicle of his time in Fiji that is still regarded as seminal in capturing the flavour of life in the 1940s. As he advanced through the civil service, Philip was a Commissioner, magistrate, Officer in Charge of Police, Superintendent of Gaols, Receiver of Wrecks and Colonial Secretary. And at war’s end, he could again indulge his first love – cricket. 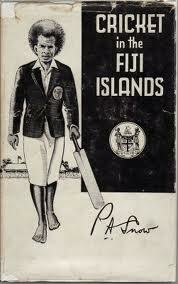 In 1948, he led the first Fijian national team on a successful tour of New Zealand. 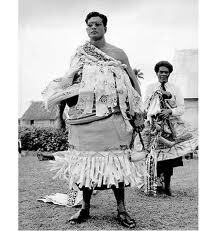 This side included two more of Fiji’s most famous indigenous sons – Ratu George Cakobau, the future Vunivalu and Governor-General and Ratu Edward Cakobau, the RFMF commander and war hero who also went on to father the current President of the Republic, Ratu Epeli Nailatikau. Philip Snow finally left Fiji in 1952, returning to Britain to become Bursar at Rugby School – the birthplace of the world famous game of the same name. He went on to write another book, A Time of Renewal, that is described as a social history of Britain from the 1950s onwards covering not just cricket but the arts, politics, the armed forces, the law, academia and Philip Snow’s brushes with the Royal Family. Yet according to those who knew him, he never lost his love for Fiji and its people. The distinguished linguist, Dr Paul Geraghty – a great friend – said Philip had regarded his time in Fiji as the best part of his life and until a great age, had maintained an open house policy for any visiting Fijian. “He made up for not returning to Fiji by welcoming anyone into his house that had links to Fiji. This included sports teams, government ministers and soldiers who happened to visit England”, Dr Geraghty told the Fiji Times. Forty two years after independence, the memories of colonial Fiji are fading yet the struggle for a multiracial future for the country goes on. It’s worth remembering with Philip Snow’s passing that he was the first to break down the racial barriers in sport and for that alone, he deserves an honoured place in Fiji’s history. Philip Albert Snow: Born August 7th 1915. Died June 4th 2012. Aged 96. Graham, A lovely piece. Did you ever get to meet Philip Snow? He sounds like a fascinating fellow. Cheers. No, Tom, long gone by the time I arrived in the world a year later and never got to meet him in the UK. Hope all is well, mate. He was a son of England, a son of Fiji and a true sportsman. Yes he deserves an honoured place in our history. Thank you for bringing this report to us. Graham, I have always wondered why Fiji never made it on to the world cricket stage like the Windies. They had the physical ability, the talent, the flair for the game …… any ideas? Hi Peter, nice to hear from you. I’m not really qualified to give you an answer except maybe it’s been all down to money, or rather the lack of it. The great cricketers in Fiji have always been amateurs whereas the game at the highest levels has turned irrevocably in the direction of highly paid professionals. Interested in your own thoughts on this. Is this the same Philip Snow who wrote the extremely readable historical book on Hong Kong (The Fall of Hong Kong). If he’s the same person I didn’t know he had a Fiji connection. Thanks for sharing this with us. Regards. The same, Peter. Philip Snow wrote the Fall of Hong Kong: Britain, China and the Japanese Occupation in 2004. A very nice tribute to Philip Snow. Twenty years ago I published an account of the doings of the Fijian cricket team which Edgar Marsden brought to Australia in 1907/08. The team played 28 matches. A copy fell into Philip’s hands and he sent me a couple of pages of corrections of the sort which only a person who had lived in the country for a long time and fully understood its people could have known. Many more letters were exchanged between him at “The Gables”, Angmering, Sussex and me in Sydney.